Last week, 81 new final regulations were published in the Federal Register. There were 80 new final rules the previous week. That’s the equivalent of a new regulation every 2 hours and 4 minutes — 24 hours a day, seven days a week. All in all, 2,475 final rules have been published in the Federal Register this year. If this keeps up, the total tally for 2013 will be 3,733 new final rules. Last week, 1,465 new pages were added to the 2013 Federal Register, for a total of 53,959 pages. At its current pace, the 2013 Federal Register will run 79,822 pages, which would be good for third all time. The current record is 81,405 pages, set in 2010. Rules are called “economically significant” if they have costs of $100 million or more in a given year. Three such rules were published last week, for a total of 26 so far in 2013. The total estimated compliance costs of this year’s economically significant regulations ranges from $5.78 billion to $10.39 billion. So far, 218 final rules that meet the broader definition of “significant” have been published in 2013. So far this year, 469 final rules affect small business; 64 of them are significant rules. The Fish and Wildlife Service issued two more economically significant migratory bird hunting regulations. They both estimate the same curiously precise consumer surplus as the rule it issued the previous week, a range of $317.8-$416.8 million. Neither rule quantifies compliance cost, so I’m scoring them both as zero-cost in our running compliance cost tally. The third economically significant rule concerns a school grant program. It does not specify the expected dollar value of grants they expect to make beyond saying that they will likely exceed the $100 million threshold for economically significant status. The rule acknowledges compliance cost for states in creating application forms. Instead of giving a dollar figure, the rule states that “the benefits of developing an application for this competition outweigh the costs.” I am therefore scoring it as zero-cost in our running compliance cost tally. Adjustments to wage requirements for immigrants on the H-2B visa (the one for temporary farm workers) have been postponed indefinitely. 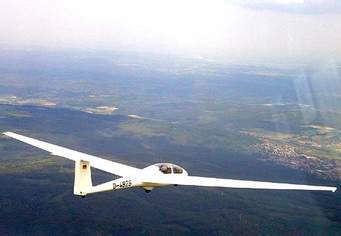 The FAA issued an airworthiness directive for Segelflugzeugbau sailplanes. New air quality regulations for Missouri, California (twice), Florida, Arkansas, Michigan, and Ohio.